Landscaping is a huge project that takes a lot of planning, hard work and coordinating with contractors to create the perfect environment but don’t let that hold you back. The outside of your home should reflect your style and personality just like the inside. With so many options available, you can create the perfect design that brightens up the property while showing off your individual style. When you’re ready to transform your lawn into an attractive and functional space, you’ll need a plan. Start by imagining how the lawn will look once the transformation is complete and then make note of what it will take to get to that point. Careful planning will help you implement the best landscaping design that is functional, comfortable and beautiful. The first step in planning a landscaping project starts by defining your objective. How do you want your lawn to look when the project is complete? Do you want to turn your backyard into an entertainment area with an in-ground pool, Jacuzzi and BBQ area where you can entertain guests? Would a Koi pond and beautiful flower garden create the perfect oasis for you? Defining your objective will give you a clear picture of what you hope to accomplish with your landscaping project. When choosing your landscape design, consider how much maintenance it will require to keep it looking good and pick something that you have time to care for properly. Mowing grass, edging and pruning trees and shrubs are just a few of the tasks needed to keep your lawn looking good but the actual amount of maintenance required will depend on the design you choose. After defining your objective, the next step is to create a design or layout that clearly shows how everything will look once the project is finished so you can get started with the plans. This is where hiring a contractor to implement your plan can save you a lot of headaches later. Like all designing projects, you need a detailed plan outlining the changes you want to make along with a good idea of what will work and what will not. For example, a professional landscaping designer has the training and experience to know what type of problems you may encounter when implementing your design. He can tweak your ideas to compensate for the problems expected while maintaining the overall look you’re trying to achieve. The trained eye of the designer will notice things that most people will overlook such as the water trail running through the property that could flood out a garden or cause structural damage to decks or patios in its path. He’ll know which type of grass will grow the best in your location and where to install the BBQ pit for maximum performance and convenience. In short, a landscaping designer can work with you from the beginning to the end of the project and handle all of the details for you so you can relax and enjoy your lawn once the project is finished. 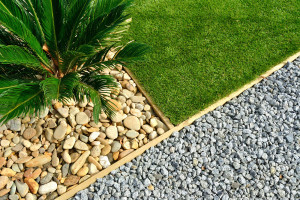 When you’re ready to begin your landscaping project, hire a good designer and work together to create a plan that will transform your lawn into the attractive and functional space you’ve envisioned.